Microphones and compressors, pianos and guitars, tube amps and equalizers, drums, synths and more…a playground for sound! Tonal Park is a place where music-makers gather to play and explore in our beautifully constructed recording, mixing, and mastering suites with our talented staff of engineers and producers. With over 75 years’ combined production experience and thousands of released recordings, our staff are seasoned professionals with a knack for putting artists at ease and capturing them at their best. 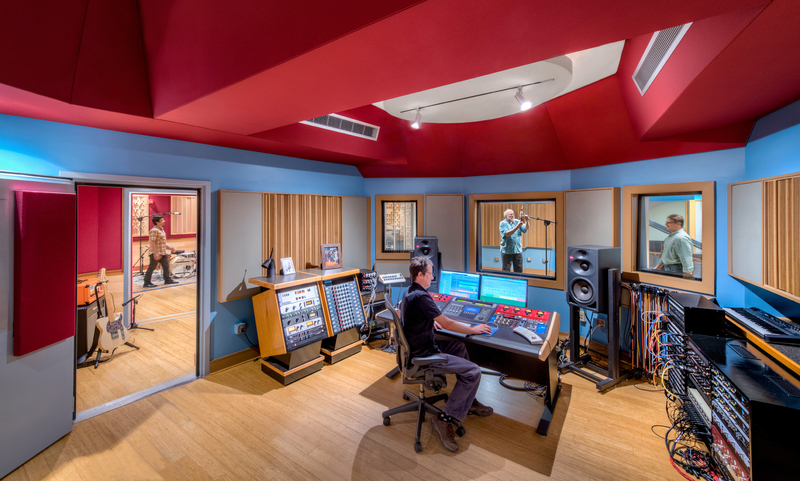 Located in Takoma Park, Maryland, our proximity to Washington, D.C., Baltimore, Northern Virginia and Annapolis make us the Mid-Atlantic’s premier recording, mastering and mixing studio. Tonal Park has the creativity, skills, facilities, and gear to help you bring your musical visions to life. As co-owner of Airshow, Charlie Pilzer operated the east coast mastering studio. In 2010, Charlie moved Airshow to Takoma Park, MD and built a facility that incorporates multiple studios. Randy LeRoy, Don Godwin and Mike Petillo joined him to create an operation that provides recording, mixing, mastering and production services. We are proud of our work on thousands of recordings from hundreds of artists, producers, engineers and record labels such as Colin Hay, Smithsonian Folkways Recordings, Priests, Compass Records, Joe Jencks, Flasher, Nora Jane Struthers, Bumper Jacksons, Jamey Johnson, Mock Identity, Scarcity Of Tanks, Letitia VanSant, Randy Kohrs, Azalea City Recordings, Sweet Honey in the Rock, Severn Records, Slavic Soul Party, Elena & Los Fulanos, Kristin Rebecca, Pete Reiniger, and Beauty Pill. Tonal Park is our next stage of evolution.